How engaged are your patients? If you’re honest with yourself, the answer probably lands somewhere between somewhat and not at all. Even as people grow more interconnected online and engaged in their favorite brands, very rarely do we see them taking the same interest in their own healthcare journey. The conversation is rarely two-sided, relying mostly on the doctor or nurse telling them what they should be doing rather than providing input on their day to day activities which could impact their care. Similarly, current workflows prevent care team members from being able to truly engage around a single patient at once, which creates the possibility of repeat tests and even errors within and outside of a hospital setting. Improving the engagement of your patients as well as the engagement of each member of that patient’s care team is key to improving the overall healthcare ecosystem. According to the Medicare Payment Advisory Commission, 75% of readmissions can be prevented simply by providing better care coordination. What “better” looks like varies by specialty, but often times we see that the handoff between physician to nurse or from hospital to home health agency is where the ball is quite often dropped. By improving the communication and data sharing between parties, the risk of medical errors drops. However, what is often missed in this process is the inclusion of the patients themselves as well as their caregivers. By actively engaging the patient and/or caregiver in this process allows for more sets of eyes to be looking for complications, and the potential risks to the patients’ health. So how can your organization improve care coordination? All signs point to technology. Medical Economics explains that 79% of patients are more likely to select their healthcare provider that enable interactions via online platforms or on a mobile device. Additionally, those surveyed preferred a “shared decision-making approach” which would effectively move the needle on patient engagement. In the area of mobile apps, technology can provide a level of transparency not easily available with traditional healthcare. This leads to increased access to vital information, which allows the patient to feel more in control of their care. Increased engagement is not just about the interaction between clinicians and patients, but improvements on the financial side as well. As healthcare continues to evolve away from fee-for-service models it is important to understand what the future holds and how much more important outcomes will become in day-to-day patient care. Value-based care, and specifically, value-based contracts are quickly becoming the standard for healthcare organizations of all shapes and sizes, if for no other reason than it leads to a faster path to reimbursement. 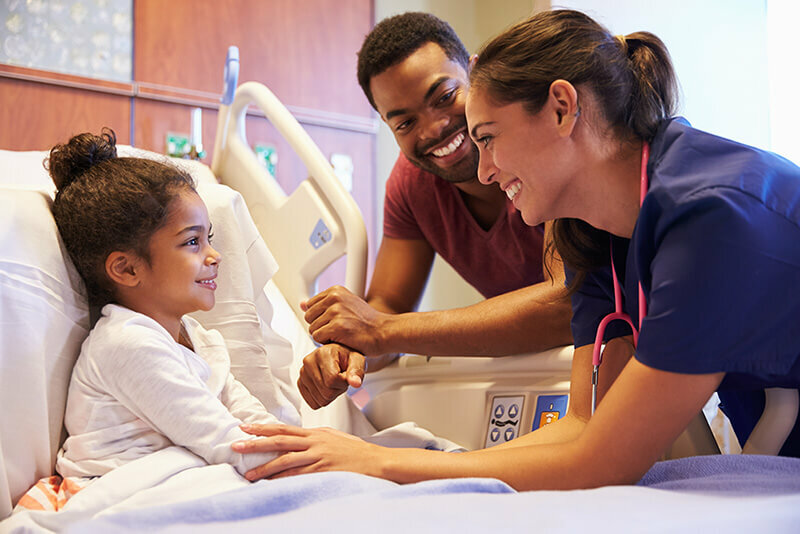 With Value-based contracts, it’s increasingly important for your patients to realize how vital their involvement is to their own healthcare. It’s not an entirely foreign concept, most patients have already begun to use technology in researching symptoms and medical treatments. We simply need to bring them deeper into the conversation. Being engaged in the communication chain, alongside providers and caregivers, allows patients to provide clinically relevant feedback and potentially avoid costly errors. Last summer, we asked the question, “Can Texting with Patients Reduce Readmissions?” We constantly hear from our customers the need to connect with their patients via secure texting. That’s why we rolled out our new Chronic Care Management feature at HIMSS. Now, patients with a bluetooth-enabled medical device can provide instant results directly to members of their care team. This, combined with the option to set customized alert thresholds and the ability to escalate alerts to care managers, ensures that a patient at risk of complications can have those issues addressed in real-time, and prevent avoidable readmissions.